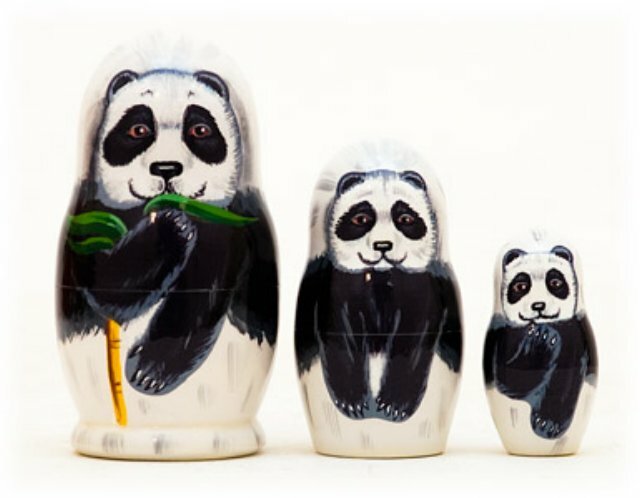 Three adorable panda bears nest together in this matryoshka. The largest one munches on a stalk of bamboo, which makes up 99% of the panda's diet. Hand painted and decoupaged at the Golden Cockerel workshop in St. Petersburg, Russia.